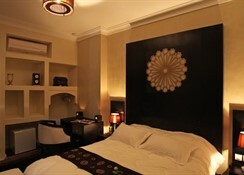 Riad Amir is a small hotel that features five guestrooms. Centrally located, it offers proximity to many places of interest and features a restaurant—you can opt for bed and breakfast option. 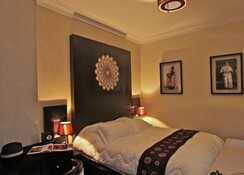 Accommodations in Ryad Amiran are divided into Amethyste, Diamant, Pearl, Rubis and Saphir Rooms. 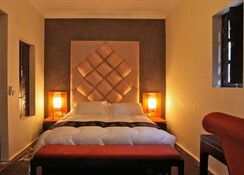 Designed and furnished to offer guests a memorable stay and great sleep quality, rooms come fitted with air conditioning, private bathroom, hairdryer, mini bar, heating system, WiFi internet and furnished sitting area. Guestrooms are vibrant and stylish, colourfully decorated in rich Moroccan style with features like canopy over the bed, open shelfs on the wall, open bathing area and alike. The main restaurant serves scrumptious set breakfast with plenty of food and beverages to select from. You can choose to have your breakfast in the dining hall or on the terrace that offers a lovely view of the surrounding. As for lunch and dinner, the restaurant offers a la carte menu, speciality collection of local and selected international cuisines. It also serves alcoholic and non-alcoholic drinks, including local specialities, wine, cocktails and beers. There is a common lounge with television where you can catch up with live events and news, other than that WiFi internet is available throughout the hotel. You can approach the travel desk located on the lobby that can help you organise trips in and around the city. Places to visit are Mosquée de la Koutoubia (2 km), Tombeaux saadiens (3 km), Maison de la Photographie de Marrakech (1.8 km), Douiria Derb el Hammam (1 km), Palais El Badiî (2.8 km) and Souk cherifia (1 km). 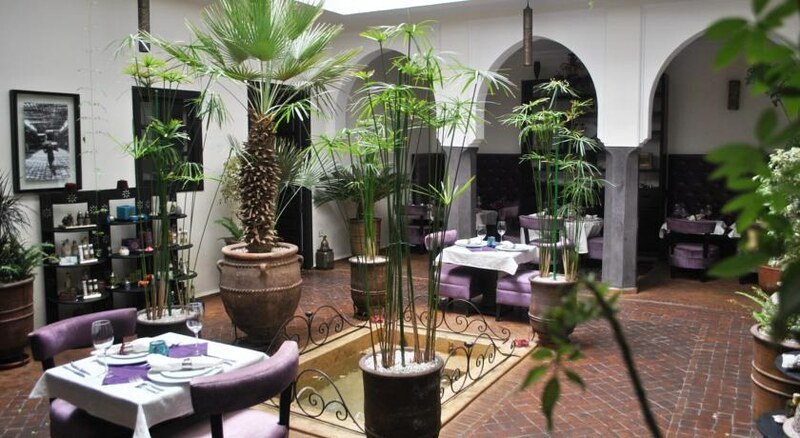 The Riad Amiran is a three-star property centrally located in Marrakech—very close to a souk in the Bab Doukala neighbourhood. There are monuments and palaces in the surrounding, but in case you need to travel far to explore the city, there are two bus stations: Marrakech Medina (2 minutes) and Jemaa El Fna plaza (10 minutes). 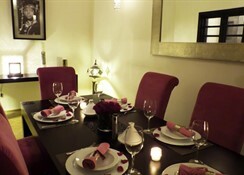 Built in typical Moroccan style, the ambiance is rich, so is the hospitality amicable. Marrakech is a destination ideal for people looking for outdoor adventurous. Look for places such as Les Bains de Marrakech, Hammam de la Rose, Koutoubia Mosque, rue Semarine, rue Mouassine, La Mamounia, Maison Tiskiwin, Saadian Tombs and more. 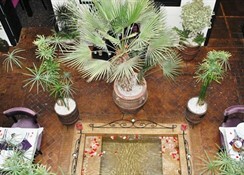 There are plenty of restaurants and shops around the hotel, and the Marrakech Menara Airport is 7.5 km from the hotel. ***Travellers above 15 years will have to pay tourism tax of € 1.80 per person per night.